Inner suburbs of Melbourne have a land shortage and a growing trend in these areas is to buy a property with a knockdown rebuild in mind. A knock down rebuild project will save you money as generally it is less per square metre than the cost of a renovation or extension. A knockdown rebuild project can be a fantastic way to stay in your neighbourhood and live in a luxury home. Whether it is your existing property or the perfect block in the area you desire with a home ripe for demolition on it. We can build a knockdown and rebuild for you that will be luxurious and energy efficient. Our team is very experienced in building knockdowns and rebuilds. We take into account the site with its existing amenities such as drainage, electrical wiring and footing. During the build process we will ensure to utilise the existing amenities to keep the costs low. You can have the bespoke, custom designed home you dream of on your dream land. What more could you ask for? Call us now and we can visit your site to start the building process. We are an award winning builder and recognised by our peers as a quality bespoke home builder. With a knockdown rebuild project we will visit your site and take into account the orientation and neighbouring properties. 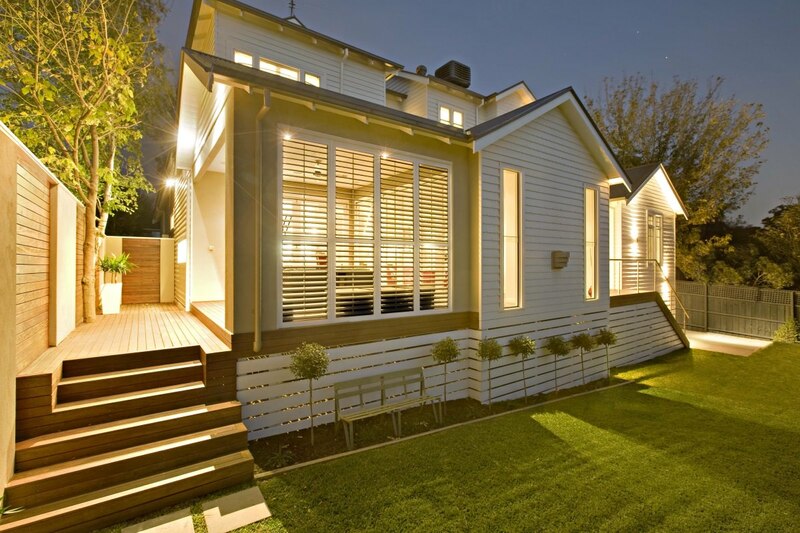 The existing character of the area is an important factor when building your home. We can build a modern, contemporary home with a frontage that suits your neighbourhood. We are sloping block specialists and can build a bespoke home to maximise your site. We have built many custom architect/draftsman designed homes and we have completed many dual occupancy homes for clients on their existing properties. This is a great way to capitalize your equity on your existing land. Another great bonus of a knockdown rebuild home is no comprise to your dream home. A renovation has to work with existing structures. With a new home you are starting from a blank canvas on the land you love. We can work with your building plans to build a bespoke contemporary home. As with all our new homes it will have the most up to date energy efficient design, saving you money on your utility costs. Surprisingly a knock down and rebuild project can be financially less risky than renovating or extending. This is due to no hidden surprises with a knockdown and rebuild. A renovation project will always tend to present issues that may add to the cost. Call us know with your building plans, our team is ready to build your new home. To arrange a free home knockdown and rebuild consultation please use our contact page to get in touch.